A local political race for an open state Senate seat has remained relatively low profile due mostly to an aggressive campaign conducted by one candidate who is heavily favored to win. 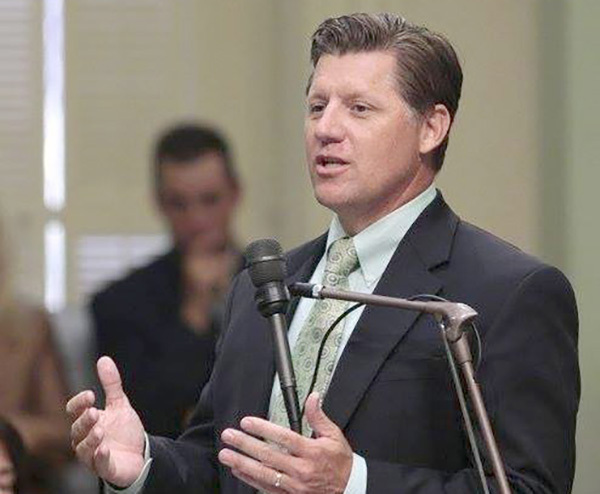 Brian W. Jones, a three-term Republican state Assembly member and current Santee City Councilman, is expected to succeed state Senator Joel Anderson (R-Alpine) in the 38th State Senate District. Anderson is leaving the office due to term limits. Jones, who declared his candidacy in 2017, has raised seven times more in campaign donations in a recent nine-month reporting period than his rival, Jeff Griffith, a Cal Fire captain, paramedic and two-term Palomar Health District board member. In the June 2018 primary, Jones drew nearly 60 percent of the vote in the heavily Republican district that spans from Lemon Grove to Fallbrook, from Borrego Springs to Alpine and includes most of eastern and northern San Diego County. The massive 38th District, with nearly 1 million residents and covering about 30 percent of San Diego County, encompasses eight municipal cities, including Lemon Grove, Santee, La Mesa, El Cajon, Poway, Escondido, San Marcos and San Diego’s Scripps Ranch community, as well as the communities of Lakeside, Ramona and Julian. According to recent registration data, the 38th District is solidly Republican: 40 percent of voters are registered as Republicans, 29 percent as Democrats and 25 percent as having no political party affiliation. Jones, 50, served eight years on the Santee City Council followed by three terms (2010-2016) as a state Assembly member in the 71st District, which includes much of East County and parts of southern Riverside County. Jones returned to the Santee City Council in January 2017 to fill a vacancy created when Santee’s mayor, Randy Voepel, was elected to the Assembly and left his office early. Jones has lived in the 38th District since 1978. He attended Santee Elementary, Cajon Park Middle School and Santana High School, and earned a bachelor’s degree in business administration. While serving in the state Assembly, Jones was a pro-business, fiscal conservative. He served as vice chair of the Assembly Business & Professions Committee, and a member of the Appropriations, Budget Subcommittee on Health & Human Services, Legislative Ethics and Joint Legislative Audit committees. He led legislation that eased burdensome regulation on the state’s manufacturing industry, allowed craft brewers and distillers to add jobs and expand business opportunities and protected state agencies from frivolous lawsuits. 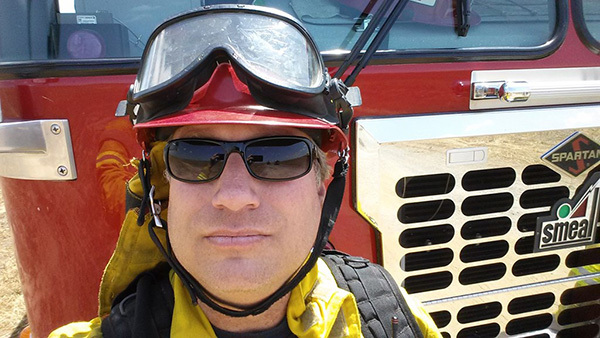 Griffith, a Democrat, has 30 years of experience as a firefighter and paramedic currently serving as a Cal Fire captain in Riverside County. He has an associate’s degree in social and behavioral science and an EMT-paramedic license from Butte Community College in Oroville. He is running on a platform of improving public safety and greater fire protection, as well as health care for everyone and addressing student debt. Griffith, 50, has lived in Escondido since 1995. Griffith’s endorsements include the California Democratic Party, San Diego County Democratic Party, San Diego-Imperial Counties Labor Council, International Longshore and Warehouse Union and several firefighters labor union organizations. Jones’ endorsements include Senator Joel Anderson, San Diego County Supervisor Ron Roberts, Board of Equalization Chairwoman Diane Harkey and Santee Council members Ronn Hall and Rob McNelis, along with public safety organizations such as Peace Officers Research Association of California, Deputy Sheriffs Association of San Diego County and San Diego Police Officers Association. Jones also is endorsed by several city mayors, including Bill Wells of El Cajon, John Minto of Santee, Mark Arapostathis of La Mesa, Steve Vaus of Poway, Jim Desmond of San Marcos and Sam Abed of Escondido, along with numerous City Council members in the 38th District. For more information about the candidates, visit electbrianjones.com and griffithforsenate.com. —Rick Griffin is a marketing, communications, public relations and advertising professional from La Mesa. Reach him at griffinpr@aol.com, or 619-461-3104.